The Sims just got a bit more glamorous. Yep, that’s right. With the upcoming The Sims 4 Get Famous extension pack, your Sims can now live the lavish life of fortune and fame. You get to experience everything an aspiring star would go through to work their way up in the industry – from getting an agent to running lines before a big audition. Del Sol Valley is a new world where your Sims can get a home in Mirage Park or work their way up to a mansion in The Pinnacles. If your Sims really makes it big, they might even score an iconic diamond on Starlight Boulevard with their name on it. Tons of Simmers gathered in London last week to celebrate the upcoming launch of Get Famous at the highly-anticipated 2018 Sims Camp event. 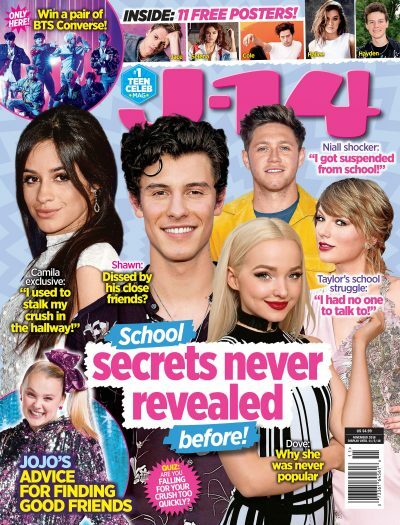 J-14 caught up with some of the masterminds behind the game, and it’s safe to say the reaction to Get Famous was nothing but positive. Seeing as the new Sims world is all about fame, there had to be a major celebrity guest at Sims Camp. Baby Ariel came out to celebrate the Get Famous pack, and she even performed “Aww” for all the Simmers in attendance. The Sims 4 Get Famous releases Nov. 16, 2018 on PC and Mac!